The Indian Cricket Team currently on a tour of Sri Lanka is faring badly and does not live up to its reputation. The Indian Cricket Team was scheduled to play three tests and five one day international series. The Indian team consists of reasonably strong contingent with all its four aging heroes, Sachin Tendulkar, Rahul Dravid, Saurav Ganguly and V.V.S.Laxman along with two dashing openers in Virender Sehwag and Gautam Gambhir, two world-class spinners in Anil Kumble and Harbhajan Singh, an experienced medium pacer in Zaheer Khan and the new fast bowling sensation Ishant Sharma. However, India lost the test series to Sri Lanka by 2-1 and performing badly in an unprecedented manner in the ODIs, having already lost the first ODI by eight wickets. Cricket lovers or critics of the Indian team may not take Indias’ poor performance lightly. It seems that the Indian team has been proving the prophecy of Javed Miandad. He opined that when Indian team had been performing well with the domestic coaches of both bowling and fielding in Venkatesh Prasad and Robin Singh, India rather needlessly had appointed a foreign coach, Gary Kirsten and thereby India would have a nosedive in its performance in the near future. It seems that Gary Kirsten is unimpressive as a coach and given the current performance of the Indian Team he may not complete his full term as a coach. The four Indian players like Sachin, Dravid, Saurav and VVS.Laxman is in their mid-30s, all of them 33 or 34 plus, have lost their form, only showing some glimpses of their class as did by Sachin and VVS. Laxman in the second test or by Dravid and Laxman in the lost third test. It is alleged that all the four players are currently in a poor form, an enigma in cricket. But it is hard to believe that all the four world-class players have lost their form simultaneously. Giving them due credit to their contributions to Indian cricket whether it be Sachin or Dravid or Saurav or VVS. Laxman, they should be replaced by the youngsters waiting in, instead of harping on their past glory or past achievements. One should not forget Virender Sehwag won the second test for India through his double century in the first innings and again with a useful 50 in the second innings. But all the four famed players did not play any long innings and made an impression with their performance. India did not have any new bowling option except to persist with Kumble and Harbhajan Singh, while Ishant Sharma offering some solace. On the other hand, Sri Lanka had new bowling options in Mendis along with old wily Muralidharan, the world’s highest wicket-taker. India could not come to terms with their bowling especially Mendis who went on to win the man of the series award in the tests. Almost all the Sri Lankan players are currently in good form that played a vital part in the series. Of late, the Indian team is more used to playing medium pace and fast bowling than the spin bowling. It was a decisive factor in the series. The pitches in Sri Lanka were tailor-made to suit their own players especially the spinners. Even in the first ODI, both Mendis and Mutthaiyah Muralidharan, scalped three wickets each. Given the current form of the Sri Lankan and the Indian teams and playing conditions which are more suitable to the former, one need not get surprised or overwhelmed if Sri Lanka wins the ODI series also. Already they are leading by 1-0. 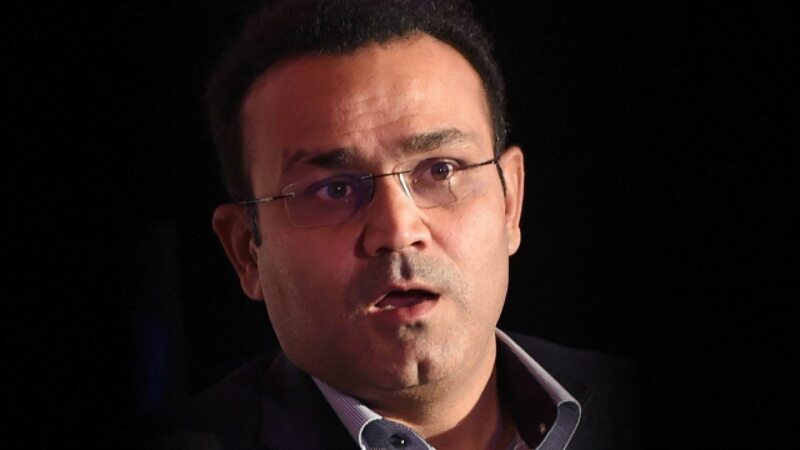 Virender Sehwag, the dashing Indian opener, has returned to India due to injury. Sachin Tendulkar, the best one day player in the Indian team, suffering from injury problems, has been replaced by a newcomer from Tamil Nadu. Therefore, it is time for introspection as well as timely action to revamp the Indian cricket team to raise it from its doldrums.